On my last visit to Goa, I came across this gem owned by Masterchef finalist Sarah Todd. This place is best to witness a perfect beach sunset. Imagine waking up in a cute and chic cottage with an ocean view, and then filling up your tummy with a perfect gourmet breakfast, before taking a dip in their beach-facing pool: what else can one ask for! 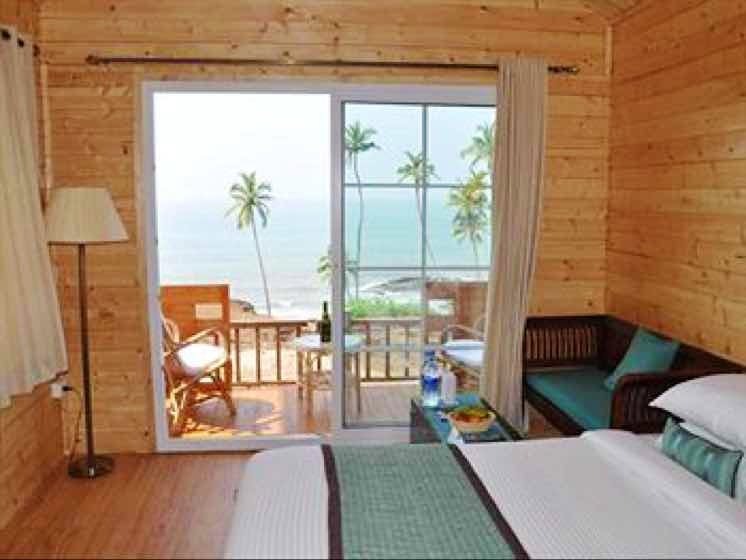 Just book their Ocean Comfort room and take a dip in their pool, where you will be charmed by the view of Vagator Beach right in front of you. PS: Top it up with a Margarita. The place was perfect. Only one thing: just avoid the Party Huts as they don't have the amazing ocean view, which is the USP. The place looks even more mesmerising at night, when all the hilltop restaurants light up their chic lamps and lanterns, making the ambience just magical.